It may be entirely possible that a glassy film spreads over my eyes whenever I view something my kids do. I don’t think I see the world the same way when it’s talking about them. I guess it’s the same way as when you look at yourself in the mirror. You don’t really see what the world sees. You have bias. And you have a particular criticism toward yourself that the rest of the world doesn’t share as well. So looking at my kids is like when I’m looking in the mirror and I see more fat than the rest of the world sees. When they’re doing something great, that glassy film covers my eyes, and to me they are doing something incredible. 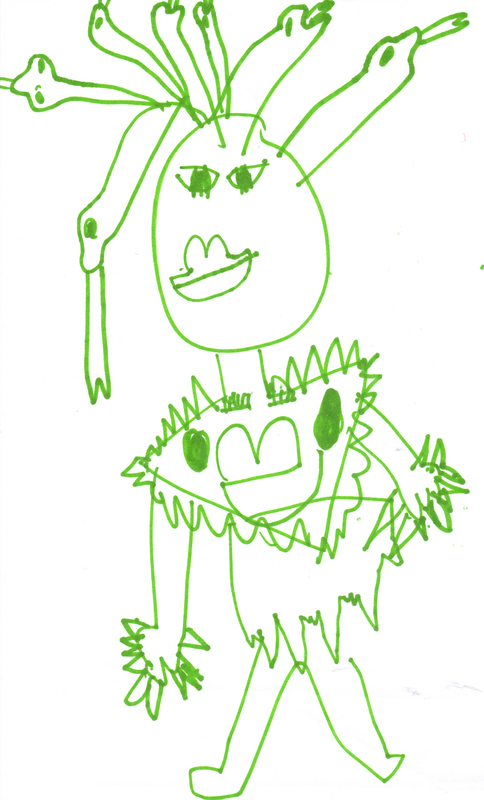 The 5-year-old does these drawings, and I just think they are dynamite. But I’m so biased I can’t be sure – to me they’re like a Picasso, only better. But when I show other people these things, they give the cursory – “Oh wow. Cool. That’s great.” Why didn’t they fall on their knees and weep? Why did they not tear at their hair in awe and wonder at this amazing gift? Perhaps I’m seeing things they aren’t? And it works the other way as well. When they are acting up in a restaurant, no one else seems to care. When I talk to their teachers, they tell me they are well-behaved and not loud. WHAT? Are you kidding me? I was braced for you to tell my they are throwing chairs and desks around the room. You’re telling me MY BOYS are behaved? Either you’re seeing something or I am! But, I’m not going to change. I’m not going to force the glassy film from my eyes. I love it right where it is. Great job boys! You’ve jumped from a one foot height! You’re AMAZING! Becomce a FAN on facebook!